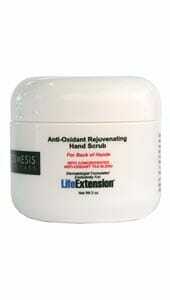 Antioxidant Rejuvenating Hand Scrub softens the appearance of spots and discolorations. 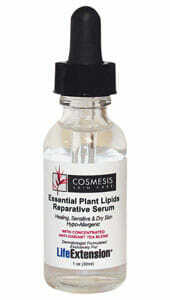 Rejuvenates the skin by removing dead skin cells helping to minimize the appearance of creases and liver spots. Renowned dermatologist Gary Goldfaden, M.D., has developed novel solutions for the most common skin problems encountered by maturing audlts. Based on extensive clnical testing, these formulas are designed with potent antioxidant tea extracts (red, green, and white) to correct specific areas of concern, such as the appearance of darkness and puffiness under they eyes, fine lines, rough skin, loose skin, and more.80-87 These products can be used in conjunction with any other skin treatments or products. 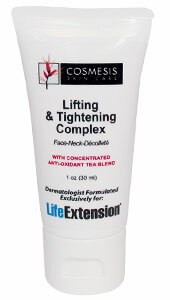 They are specially formulated exclusively for Life Extensions best results. With its antioxidants, moisturizers and rejuvenators, Antioxidant Rejuvenating Hand Scrub softens the appearance of spots and discolorations, and can help restore youthful texture to skin ont the back of the hands. It rejuvenates by removing dead skin cells and allowing natural antioxidants to come into contact with freshly exposed skin. 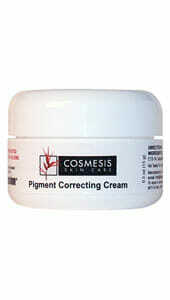 it helps minimize the appearance of creases and make liver spots less noticeable. 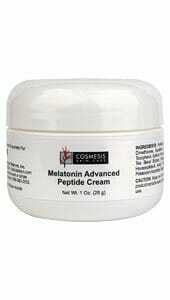 use it with Antioxidant Rejuvenating Hand Cream for best results. Ingredients: Ruby Crystals, Purified Water, Jojoba Oil, Apricot Kernel Oil, Squalane, Hyaluronic Acid, Laureth-7, C13-14, Isoparafin, Polyacrylamide, Concentrated Tea Blend Extract, Butylene Glycol, Seaweed Extract, Blend of Herbs, Oil of Kumquat, phenoxythanol, Ethylhexylglycerin.